NEW YORK, N.Y. -- After hundreds of New Yorkers had difficulty voting in the recent September 13th primary, Common Cause/NY is encouraging voters to check their registration status now. Friday, October 12th is a double deadline to 1) register to vote for November 2018 and 1) change one's party enrollment for September 2019. "Every New Yorker -- no matter how confident -- should confirm your voter registration status before Friday's deadline," said Susan Lerner, Executive Director of Common Cause/NY. "In the past month, we've collected a variety of complaints from voters, but the most concerning come from people who'd voted as recently as June and then could not vote in September. New York voters: don't take your registration for granted -- check today before it's too late." The Let NY Vote coalition and its partners are notifying New Yorkers about the voting deadline on social media via the hashtag #LetNYVote. On Primary Day last month, 27% of registered voters turned out to vote – almost double the numbers from the 2014 primary. Of the 1.5 million people who voted, too many experienced problems at the polls. Over 125 New Yorkers shared their election day story with Common Cause/NY on or after the primary. Slightly more than half of affected voters reported not being on the voter rolls, despite the fact that many are long time registered voters or had voted within the last year. Numerous voters reported issues at their poll site, from missing pollbooks, to broken voting machines and missing signage, or poorly trained staff. Dante de Blasio, Mayor de Blasio's son, encountered perennial incompetence from the BOE. 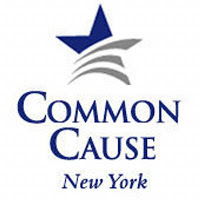 19.3% of voters contacting Common Cause/NY reported an unauthorized change in party affiliation from the Democratic party to the Reform party or to unaffiliated status. As a follow-up analysis, CCNY reviewed the voter file and found that 338 super-prime Democrats appear to have had their party affiliation changed between the federal and state primary this year.